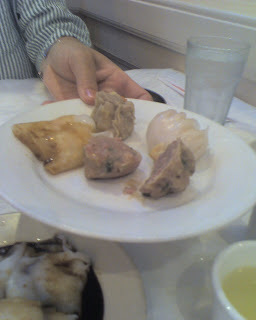 For those of you who don't know what Dim Sum is, please see this Wikipedia link. For those of you who are blessed to know, let me tell you about our Dim Sum experience this weekend in Dallas! We found the Kirin Court Chinese Restaurant in Richardson. Sally and I were extremely pleased to see that it is an authentic Hong Kong style restaurant; it is even on the second floor! They even have push carts! 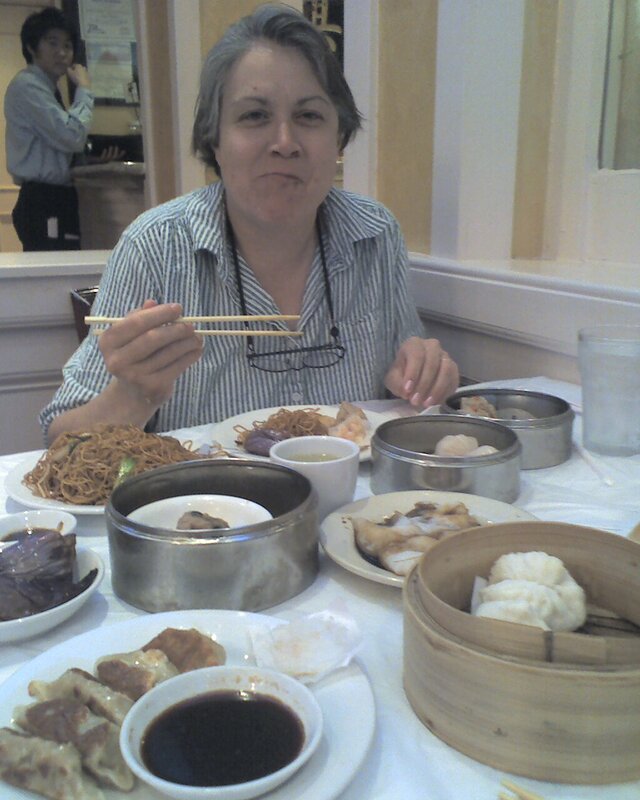 If you are fortunate to find dim sum in the US, it usually isn't any good. However, our experience here was worthy to be mentioned on this blog and to be recommended to anyone in the Dallas area. Most of the dim sum was comparable to what you'd find in a good restaurant in Hong Kong. The portions were big and it was all fresh. 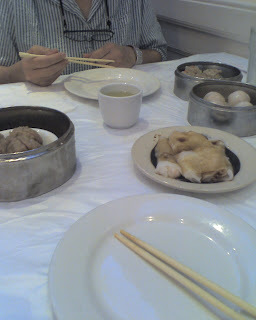 Once it got busy, you could close your eyes and imagine that you were enjoying dim sum somewhere in Kowloon. We were very impressed! The most interesting thing, however, was that we were offered ice water as soon as we sat down and most, if not all, of the waitresses spoke English. I was pleased to speak Cantonese with quite a few of them, though, and caused quite a stir doing so. I know that feeling. I found a Thai restaurant in Parkland, FL that had meals tasting almost exactly as what I got in Thailand. It's called Bow Thai. The only frustating thing is paying $7.50 for Gaw Pad Moo that sells daily in Bangkok for about 75 cents. Looks super yummy! We haven't tried that place before. We always go to Maxim's in Richardson...same ownership as the famous Maxim's restaurant in Hong Kong at City Hall. Check it out some time--it's delicious! Everetts, everyone we asked poo-pooed Maxims. They said it had gone downhill and wasn't any good. Everyone recommended Kirin's. While I didn't have Maxim's, I'd sure recommend Kirins! Huh, that's too bad--we haven't been in about 3 years, but always loved going there because of the connection to Maxim's in HK (one of our favorite places to go, both for the food and the view). Bummer to hear it's not as good anymore.